Suki & Ding Present, HASC – A Time for Music 28! 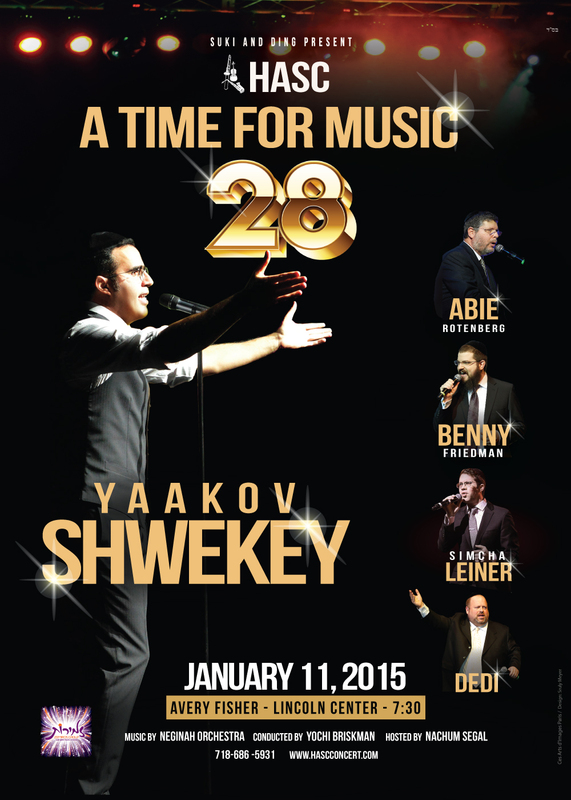 Welcoming back Yaakov Shwekey, hot off the recent success of his latest hit album, “Kolot“. Joining Shwekey for the 28th Annual Jewish Music concert for Camp HASC is Abie Rotenberg, Benny Friedman who is set to release his third studio album this Chanukah, Dedi and for the first time on the HASC stage, Simcha Leiner! Choir By The Zemiros Group.